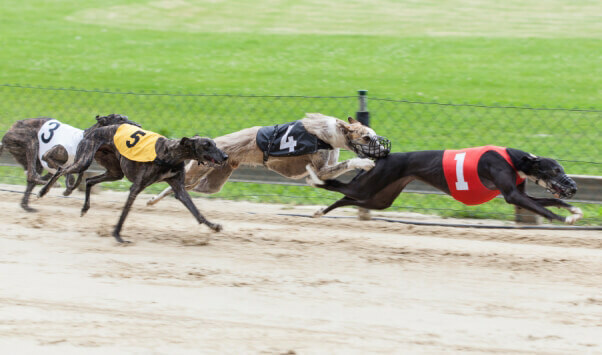 In a landmark victory for dogs, Florida has voted in favor of a greyhound-racing ban, which will end live races and simulcast betting on dog races at the state’s 11 tracks. Soon, only six greyhound racetracks will still be operating in the U.S. Since Florida is the hub of the country’s dog-racing industry, this historic vote will likely bring about their closure as well. 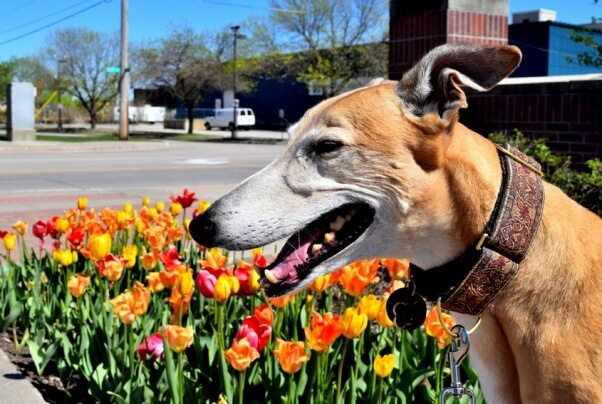 Shutting down the tracks will save thousands of gentle greyhounds from being caged for 22 to 23 hours a day, given performance-enhancing drugs—including cocaine—and forced to run to the point that many sustain broken legs, develop heatstroke, or suffer heart attacks. Dogs used for racing have incurred spinal injuries, broken necks, and crushed skulls, and some were electrocuted when they collided with electric fences. On average, one dog dies every three days on a Florida racetrack. Now, all greyhound racing will end in Florida by 2020. Florida State Sen. Tom Lee introduced the bipartisan legislation, and PETA, greyhound-advocacy group GREY2K USA Worldwide, the Doris Day Animal League, the ASPCA, the Humane Society of the United States, and many other groups advocated for it. Now, PETA is working to shut down canine blood banks that hold dogs captive, to which many of those used for racing are sent after they’re deemed no longer useful to the racing industry. A PETA eyewitness investigation of Hemopet in Garden Grove, California, found that this so-called “rescue” warehouses greyhounds in crates and barren kennels; denies them proper exercise, companionship, and even needed medical care; and subjects them to repeated blood draws, even though, according to the staff, some of the dogs border on anemia. PETA has already shut down one blood bank hellhole, The Pet Blood Bank, in Texas, and rescued all the dogs imprisoned there. We can do it again. Please help by demanding that the National Greyhound Association bar its members from sending their dogs to be held captive in blood banks and asking your veterinarian to obtain blood only from donor dogs who live in loving homes.